Daniel R. Jenky was born in 1947 in Chicago, Illinois. He went to grade school at St. Nicholas of Tolentine Parish located on the south-west side of the city and attended St. Laurence High School, conducted by the Irish Christian Brothers. He was a freshman at the University of Notre Dame in 1965, and in 1966, he entered the Holy Cross Father’s novitiate in Bennington, Vermont. After making his First Profession of temporary vows in 1967, he was assigned to Moreau Seminary to continue his education at Notre Dame. In 1970, he earned a bachelors degree in History, and in 1973 he completed graduate studies in Theology and received the MTH Degree. In 1973, he also made his Perpetual Profession of Vows and was ordained to the Diaconate. In the following year, he served at Sacred Heart Parish and assisted on the residential staff of Flanner Hall. In 1974, he was ordained to the Priesthood and was assigned to teach Social Studies and Religion at Bourgade Catholic High School in Phoenix, Arizona. The following year, he was assigned back to Notre Dame and appointed Rector of Dillon Hall and Associate Director of Campus Ministry, with responsibility for the pastoral and liturgical organization of Sacred Heart Church. In 1977, he was named Rector of Sacred Heart. In 1984, he was appointed Director of Campus Ministry, a position in which he served for only one year, when he was then appointed Religious Superior of the Holy Cross Priests and Brothers at Notre Dame. During the six years that he was Religious Superior, he resided at Corby Hall. In 1991, he was appointed as the Rector of Fischer O’Hara Grace, a residential complex for 560 graduate students, and continued to serve as Rector of Sacred Heart, which in 1992 was raised to the rank of a Minor Basilica. Sacred Heart is nationally renowned for its rich liturgical and pastoral tradition, and during the years when he was Rector of the Basilica, he and his staff organized the liturgies for all major university occasions and special events and coordinated the six choirs that are connected with Campus Ministry. He has also regularly taught course in Notre Dame’s graduate school on spirituality and theology of prayer. In October of 1997, Pope John Paul II appointed him as Auxiliary Bishop of Fort Wayne-South Bend and titular Bishop of Amantia. He was ordained at the Cathedral of Saint Matthew in South Bend, Indiana on December 16. John D’Arcy, Bishop of Fort Wayne-South Bend, appointed Bishop Jenky as Rector of the Co-Cathedral and Pastor of the parish. On February 12, 2002, His Holiness appointed Daniel R. Jenky, C.S.C. 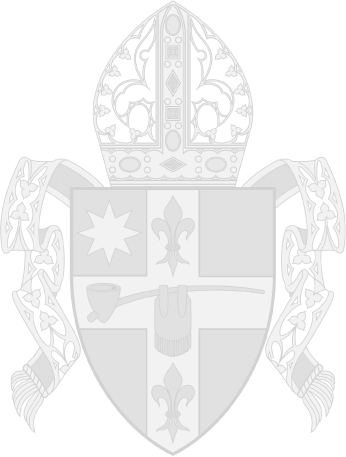 as the eighth Bishop of Peoria, Illinois, and on April 10, 2002, he was installed in the Cathedral of Saint Mary. Since his installation, Bishop Jenky has traveled widely around the twenty-six counties of the Diocese, celebrating Mass, visiting parishes and schools, preaching, giving talks, and conferring the Sacrament of Confirmation. He has introduced the cause for the canonization of Archbishop Fulton J. Sheen, and has worked to increase the resources that support Catholic schools. Bishop Jenky serves as Trustee and Fellow Emeritus of the University of Notre Dame.